A team of researchers from the University of British Columbia and Warsaw University of Life Sciences has found that dairy cows are willing to expend energy to gain access to a grooming brush. In their paper published in the journal Biology Letters, the group describes experiments they carried out with dairy cows and a large grooming brush and what they found. 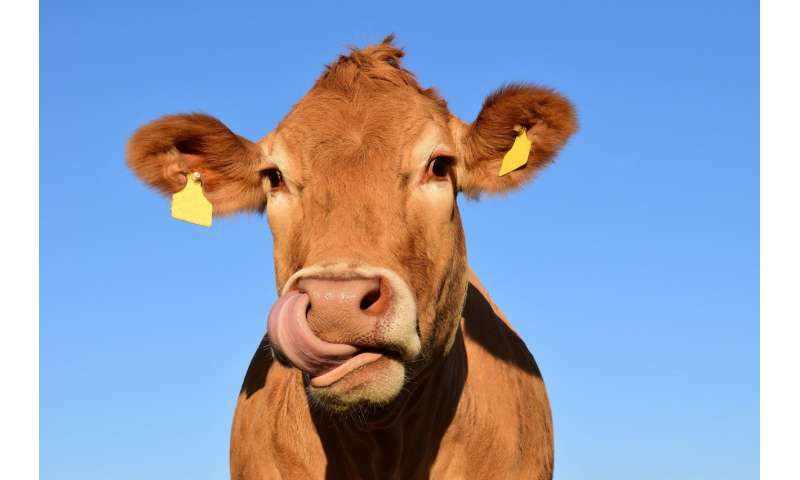 While it may look like cows in a field do nothing but stand around eating or chewing their cud, they also do something else—they rub themselves on virtually any object they can find, such as trees, fence posts and even a tractor if the opportunity arises. They rub themselves as part of grooming—exposure to the elements can cause an itchy hide. Rubbing not only feels good, it helps to remove dirt, feces and insects, and perhaps reduces stress. 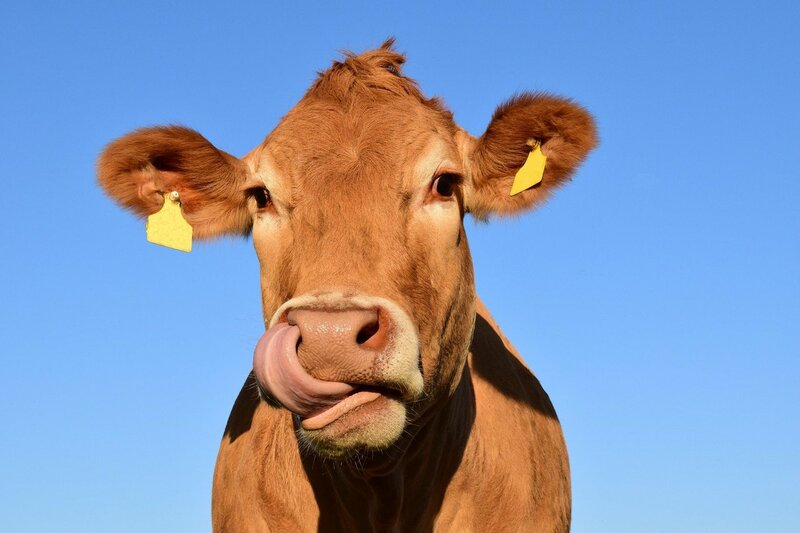 Unfortunately, dairy cows do not get to wander around in pastures that have places for rubbing—they are kept in the barn most of the time, where they have no way to engage in grooming. Noting that it must be frustrating for the cows, the researchers set up an experiment to determine if a large rotating bristly brush might help. After noting that test cows seemed to enjoy pushing themselves against the brush, the researchers set up an experiment to measure how much they enjoyed it. The experiment consisted of training several dairy cows to push against a gate to open it, allowing them access to one of three options: an empty enclosure, a bucket of feed, or the giant brush. They also rigged the gate to require different amounts of pushing to get through. After testing multiple cows with their gate, the researchers found that they would push just as hard to gain access to the brush as they would for the feed. They also discovered that most of the cows were not willing to work very hard to gain access to the empty enclosure. The researchers conclude by suggesting that the brush appears to be a viable option for allowing dairy cows to groom themselves. In natural environments, cattle use trees and other abrasive surfaces to scratch and groom themselves. Modern indoor dairy cattle housing systems often lack appropriate grooming substrates, restricting the animals' ability to groom. We assessed the motivation of dairy cows to access an automated mechanical brush, a grooming resource that can be implemented in indoor cattle housing systems. Cows were trained to push a weighted gate to access either fresh feed (positive control), a mechanical brush or the same space without a brush (negative control). Weight on the gate was gradually increased until all cows failed to open it. The weight each cow was willing to push to access each resource was assessed using the Kaplan–Meier survival analysis. Despite differences in methodology used to obtain data on motivation to access feed and the brush, the outcomes were very similar; cows worked as hard for access to fresh feed and the brush (p = 0.94) and less hard for access to the empty space (compared with fresh feed: p < 0.01; brush: p < 0.02). These results indicate that cows are highly motivated to access a mechanical brush and that it is an important resource for cows.